As the holiday season approaches, “drinking occasions” are plentiful, including office parties, neighborhood events, and family get-togethers. Alcohol advertising bombards us and liquor sales increase. If you’re dating this time of year, it’s understandable that you might be tempted to have a drink or two on a first date. I have a radical suggestion—don’t drink during a first date, at any time of the year. This first-date story will shed some light on why. When I returned to the dating scene, I had a simple plan about how to handle a first date. Part of that plan was to let my dates pick the location. After all, I wanted her to feel comfortable and safe. It also seemed the gentlemanly thing to do. One of my dates selected a pleasant local bar and restaurant where we met at 5 p.m. Since we weren’t staying for dinner, she said she preferred to sit at the bar. That’s when things started to get uncomfortable. Part of the reason for this stems from my background. I’m a sober alcoholic in recovery for many years. However, I can be around bars, parties, and alcohol without getting uncomfortable. I don’t make a habit of it because I don’t enjoy that atmosphere and it’s not wise for anyone in recovery. But I can move freely through the world, in all kinds of social situations, without worrying about encounters with alcohol. So, as we sat, I didn’t worry about the bar. I planned to do my normal thing and order a coffee or non-alcoholic drink. Yet it had been many years since I’d been seated at a bar. For some reason, a feeling of discomfort began to take over. I told myself it was because I was meeting a woman for the first time and feeling a little nervous. That’s certainly normal and can be a useful kind of stress. I told myself to focus on the conversation. So, I did. I remembered that my date had written in her online profile about being into cross-fit exercise. I exercise too, so this was on my mental list of things to talk about. I mentioned her cross-fit reference and she looked at me like I was crazy. Then she insisted I was confusing her profile with someone else’s. Chagrined, I said that perhaps I was indeed mistaken. My memory is pretty good, and I was positive she had mentioned it in her profile. Of course, I checked when I got home and sure enough, right there in the first two lines of her profile was “cross-fit enthusiast.” It was also mentioned in her profile a second time. By now it was difficult to relax and focus. My mistake was that I had allowed us to meet in a place where I had to be on guard—the bar. Sure, it was safe for her, but it wasn’t a place I considered safe or relaxing for me. The combination of being on guard, nervousness, and having my memory questioned had started to pick at my psyche. I had forgotten how uncomfortable bar stools could be. My back was starting to bother me. She was on her second rather large glass of wine and I continued with seltzer. Even though we agreed to meet just for coffee, dinner time was approaching. The dining room a few feet away was starting to fill. After a few minutes of internal debate, during which my intuition was yelling, “Don’t do it!” I asked if she wanted dinner. She also seemed a little uncomfortable but wouldn’t commit either way and left the decision to me. Rather awkwardly I passed on dinner. A married couple who are friends of mine came into the bar for dinner. They were also very close friends of a woman with whom I had broken off a long-term relationship several months prior. It was uncomfortable. I was so flustered I forgot to make proper introductions. By now, I couldn’t wait to escape the bar as I watched my date nurse her drink for what seemed like an eternity. (I was now regretting the fact that I encouraged her second glass of wine!) Conversation wasn’t flowing smoothly. As soon as she finished I ended the date as courteously as I could. The following day I apologized via chat for not making the intros and for the general state of awkward affairs. Whether you’re a normal drinker, or a sober person in recovery, there are five important first-date lessons you can take away from my clumsy dating experience. 1) Listen closely to your intuition so you don’t bury your own needs. In my case, I was minimizing the fact that I’m in recovery and need a partner who doesn’t drink. I didn’t listen to my gut saying “no” to this date. When I started online dating, I said I’d remain open to dating women who drank socially and weren’t heavy drinkers. I didn’t want to narrow my options. This one date, however, proved to me that I wasn’t being entirely true to myself. The results spoke for themselves. There was no way I could periodically subject myself to this type of awkwardness and be happy. It would have taken a toll on my spirit. I had to search for someone who was also a non-drinker like me. But I guess I needed to have this experience to own the lesson. Listen to your gut. 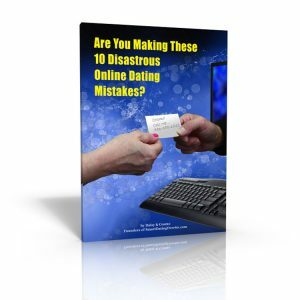 2) Create an accurate online dating profile. After the “cross-fit” incident, I re-checked mine to make sure it accurately represented me and didn’t contain generic stuff that made me sound like everyone else. I’m not sure why my date made that glaring cross-fit mistake in her profile. It might have been an innocent mistake in which she left the generic verbiage in the profile. Or perhaps she was a bit intoxicated. It’s also possible she lied about it. Although I’d need plenty of facts to be convinced she was lying, her denial raises a warning flag. In any event, it’s yet another reason why you should avoid alcohol on your first dates. 3) Take some time to seriously think about what you really want and need in your ideal partner. Get to know yourself better. Fortunately, in one date I gained important clarity that forced me to re-examine all my ideal partner requirements. I thought as a sober person I could date a drinker but discovered I could not. From that night forward, I would only date non-drinkers. My date was also a ski enthusiast and I was not. Originally, as with the drinking, I thought I could overlook that. But when I re-thought my requirements, I decided I could not. By narrowing my search and being true to what I really wanted and needed, I was able to focus better on finding my ideal partner. Sure, it narrows the field substantially. Yet that’s precisely what will help you and your ideal partner find each other. Even with a good, truthful set of requirements, drinking clouds your clarity on that all-important first date. 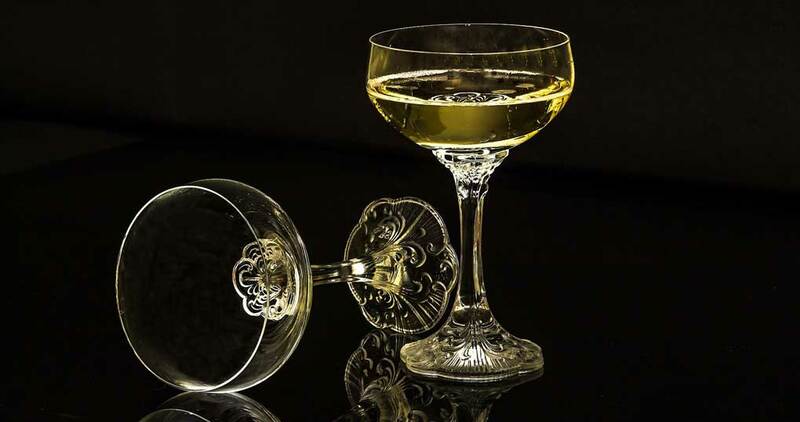 4) Reveal your drinking status early in the dating relationship. After my awkward bar date, I decided to make it clear in my profile that I’d only date non-drinkers. 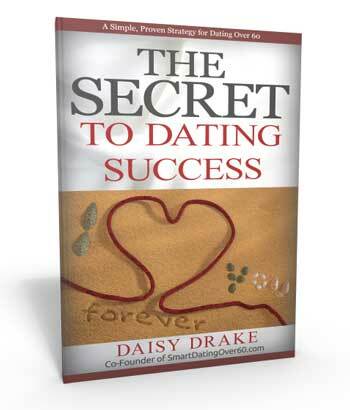 At this point I had already met my ideal partner, Daisy, for a first date. Thankfully, I never needed to make that change in my profile. In one of the first few emails we exchanged, before we ever met in person, I told her about my recovery. It turned out she, too, was a non-drinker and was delighted about my status. There is no correct time to do this, but I believe it should be early. You avoid wasting each other’s time and you avoid uncomfortable dates. 5) Pick a neutral, casual site for your first date. I know, it sounds almost counter-intuitive to those who drink, but stay away from the bars on the first date. This way, no matter what drinking preferences are involved, no one will be tempted, or uncomfortable. Both parties can keep a clear head. This is all part of the individual process we each must go through to find our true love. Your needs will differ from mine but it’s incredibly important you don’t bury them. Don’t set yourself up for failure by kidding yourself. For sober people in recovery, drinking is not an option. Yet we should carefully consider what we’re truly willing to accept in a future partner. And we should be extra cautious on first dates during the holiday season. For normal drinkers on a first date, my story illustrates a few good reasons why it pays to skip the drinks. Yes, a drink or two might make you feel relaxed. But is that really a benefit? Studies have shown that “good stress” keeps us motivated and excited about living. It tends to keep us sharper and more aware. It tends to make us put a little more effort into whatever we’re doing, including dating. However, a drink or two begins to impair your judgement. It clouds your impression of what’s going on around you as it distorts your vision and your hearing. It decreases your mental acuity and perception. It slows down your thinking and your physical reactions. During that all-important first date, hold the drinks. Focus. Pay attention to and listen to your date. If it’s a match that’s meant to be, you’ll find the hours flying by before you know it. Nerves and anxiety disappear without that drink. And if it’s not meant to be, then you had a nice encounter with a fellow traveler on this remarkable journey. If you like this article, please be sure to share it with your friends using the social buttons below!